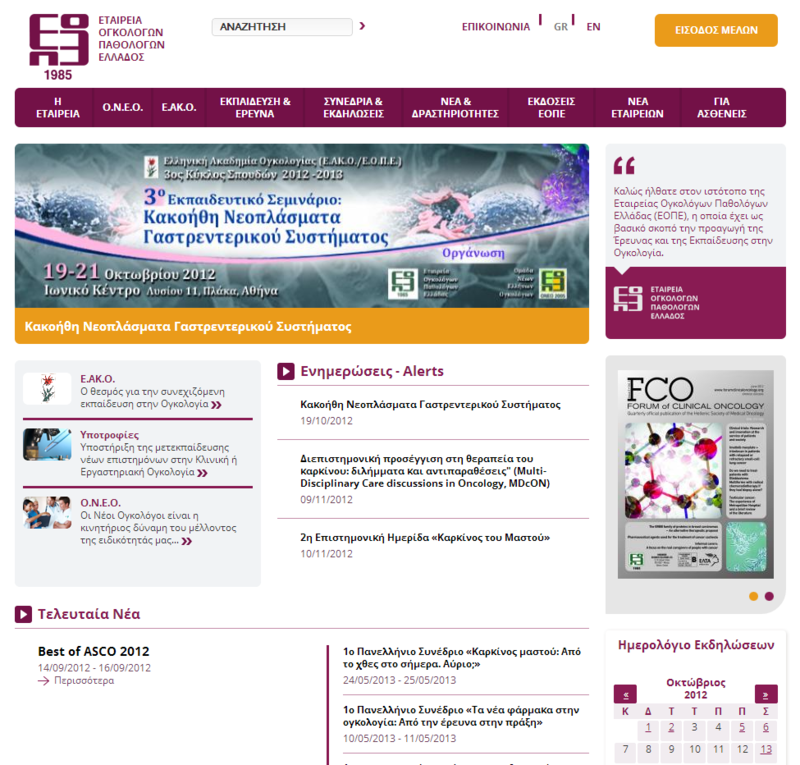 The Hellenic Society of Medical Oncology (HeSMO) needed a modern website to fit their expanding needs as an organization. The website acts as a central hub of information regarding events, conferences and announcements. It is also a home for all members of HeSMO and its subsidiary organizations, hosting all facilities targeted for paying members only. Drupal 7 once again to the rescue. Users and content were migrated from the old platform. The Profile 2 module encapsulated all complex user data and helped in creating a complex registration form. With a little custom development, a poll module will give HeSMO the oportunity to host their next board elections electronically. We thank our partner company TOOL for providing the designs and project management; yet another great collaboration!